Bennett's Bookshop has always been a haven for sixteen-year-old Paige Turner. It's a place where she can escape from her sleepy hometown, hang out with her best friend, Holly, and also earn some money. But, like so many bookshops, Bennett's has become a 'casualty of the high street' - it's strapped for cash and going to be torn down. Paige is determined to save it but mobilising a small town like Greysworth is no mean feat. 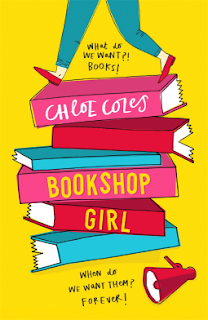 Written by debut author and Foyles bookseller Chloe Coles, this is the first in a new laugh-out-loud and sparky teen series that will make you want to rush out and start your own bookshop campaign! Review: Firstly, let it be noted that I laughed out loud at this book so many time whilst in a crowded airport and sitting on a full plane, so safe to say I enjoyed it a lot! I love the premise behind this book, a casualty of the high street that we have all seen a thousand times before, the local bookshop being closed. But it really does mean so much more to people that just a shop and I love that the heroine of this story is Paige Turner. This book is also awesomely feminist, at every turn Paige and her friend Holly are able to drop in something about being powerful women and not allow themselves to be objectified as 16 year old girls, I thought this was great! Paige is just a great character to read about and I'm so pleased to hear that there are going to be more books featuring her coming soon! She is strong-minded and mature but has just the same sorts of thoughts that we all did when we were 16 and so i defy any reader not to fall in love with her. As I've mentioned this book made me laugh a lot, it really is hilarious. Just some of the scenes that made me chuckle were during life drawing classes, moments with Paige and her friend Holly and moments where Paige is trying to play it cool in front of a new crush. So if those sounds like the kinds of things that would make you laugh then I suggest reading this book immediately! 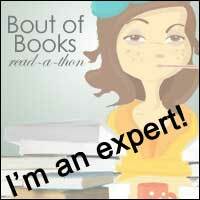 The synopsis states that this book will make you want to start your own bookshop campaign and that is so true. This book is so much more than just some giggles an crushes. It has the whole massively feminist thing going on and also it has the support for an independent bookshop. They are becoming rarer and rarer these days and so this book is definitely in support of them and the importance of these institutions in our community. I can't wait to read more from Chloe Coles, this definitely doesn't read like a debut and you should all put it in your summer reading lists right now!